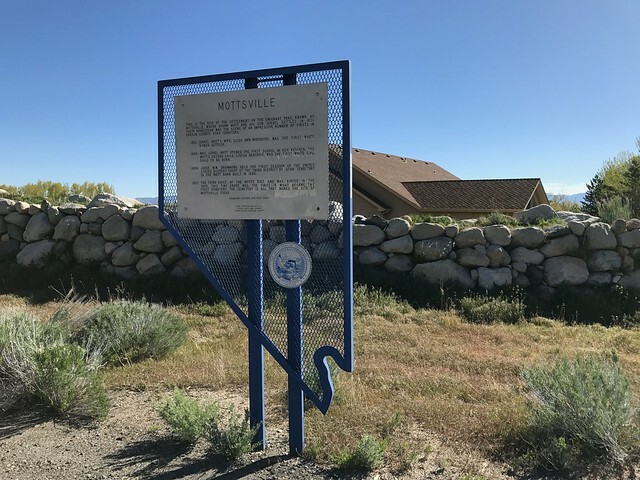 This marker is located at 1277 Foothill Road, Gardnerville, Douglas County, Nevada. There are 17 other historical markers in Douglas County. 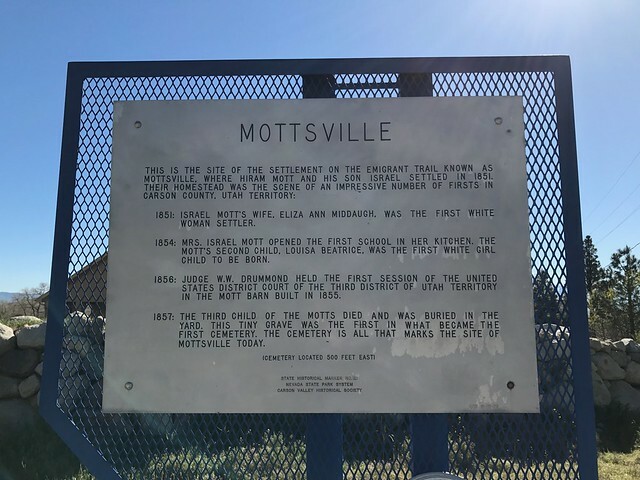 The GPS coordinates for this location are 38° 55' 52.1" N 119° 50' 24.2" W.
1851: Israel Mott's wife, Eliza Ann Middaugh, was the first white woman settler. 1854: Mrs. Israel Mott opened the first school in her kitchen. The Mott's second child, Louisa Beatrice, was the first white girl child to be born. 1856: Judge W.W. Drummond held the first session of the United States District Court of the Third District of Utah Territory in the Mott barn built in 1855. 1857: The third child of the Motts died and was buried in the yard. This tiny grave was the first in what became the first cemetery. The cemetery, 300 feet east, is all that marks the site of Mottsville today.